Reishi is not a mushroom for the pot, but is never the less one of the more important tools in our arsenal, to improve health and ward of disease. Reishi contains a complex group of polysaccharides/beta glucans that have been reported to stimulate our immune sytem. 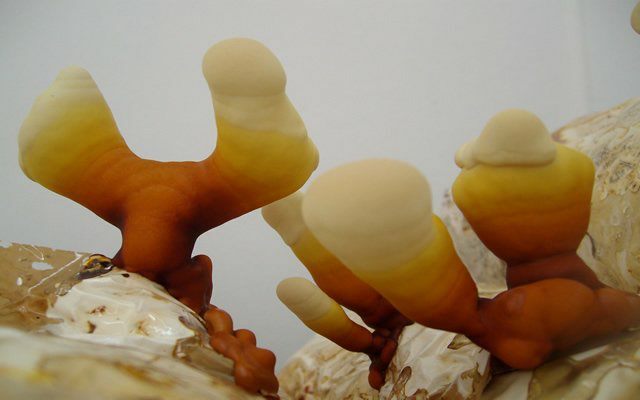 Reishi have up to 40% beta glucan content. Ganoderic acid is another constituent of Reishi and is reported to have an anticoagulating effect on the blood and lowers cholesterol (See Morigawa et al., 1986). Some studies have shown the modulating effects of reishi on blood pressure and lipid levels (Kabir et al., 1989). You can make a tea from dried crushed reishi to extract the water soluble polysaccharides or extract the dried mushroom using alcohol. Making a Tea: Use 5g of Reihi powder in a tea pot. Fill your pot with 250ml of cold water. Slowly bring the water to boil on your stove. As soon as boiling point is reached, turn of the stove, and allow to steep for 5 minutes. Your tea is now ready to be consumed. Making an extract: Place 50g of dried reishi in a clean glass container with lid. Pour 500ml of good grade vodka over the dried mushrooms and allow to steep for 7 days. Then strain off the extract into a clean glass container and keep refrigerated (keep the reishi for a second extract). You can use 15ml extract, mixed with a glass of water or orange juice (250ml) in the morning as an every day defenceor use up to 30ml a day if needed. You will soon come to enjoy the bitter taste. This entry was posted in Mushroom nutrition. Bookmark the permalink.